Battle of the Sexes © FOX SEARCHLIGHT PICTURES ALL RIGHTS RESERVED. WHAT: Into Film is proud to present an educational screening of Battle of the Sexes as part of our LGBT History Month programme showcasing LGBTQ+ cinema. When 1970s retired tennis champion-turned-sports celebrity Bobby Riggs challenged any female tennis player to beat him, it was left to the world number one Billie Jean King to take it up. This is a witty dramatization of the events that led up to the notorious match which attracted over 40 million viewers, and remains the most watched televised tennis match of all time. Focusing on King’s motivations, the film depicts her ongoing fight for equal pay for female players, as well as her personal struggle to keep her sexuality out of the limelight. 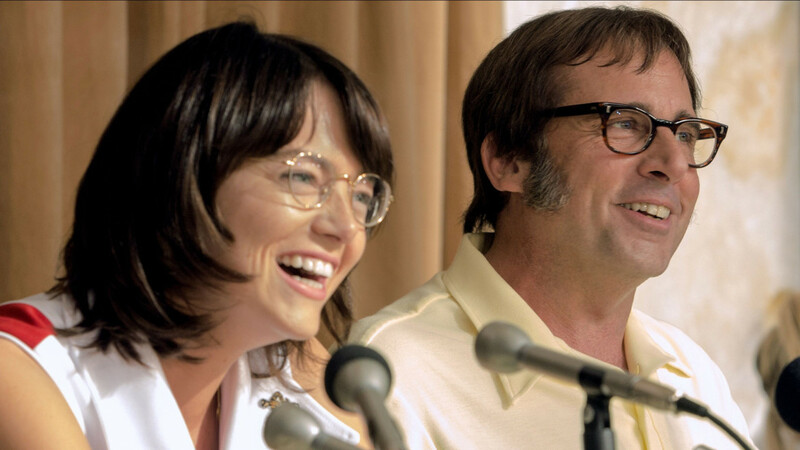 ‘Battle of the Sexes’ is a stirring sports drama that cleverly explores gender and sexual politics in the context of 1970s American conservatism.